Back in July, Robert and I were married in Tipperary, Ireland. Rob is Irish and, rather predictably, he’s an architect too. So where do two architects choose to go for their honeymoon? 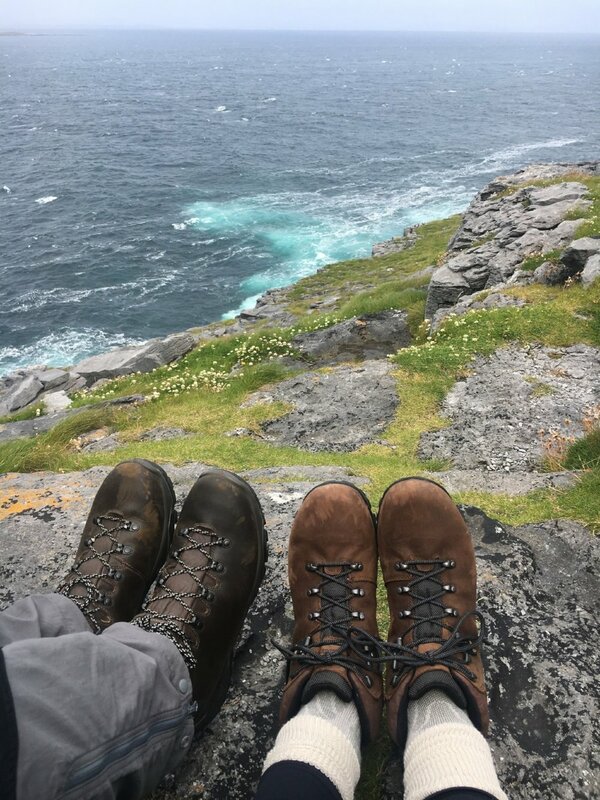 We knew that we only wanted a few days away, and didn't want to spend half of that time travelling to the other side of the world when Ireland is so beautiful. So we searched for ‘architectural retreats in Ireland’, and immediately fell in love with Inis Meáin Restaurant & Suites. 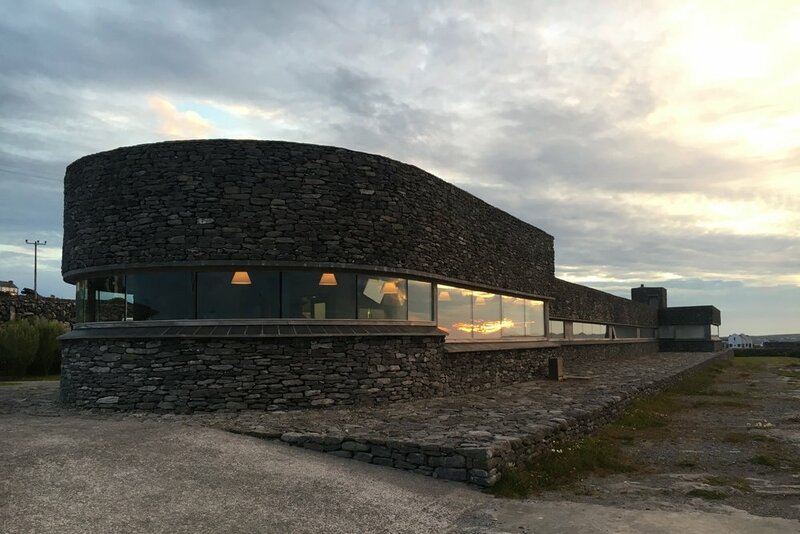 Inis Meáin Restaurant & Suites was created by Marie-Thérèse and Ruairí de Blacam in 2007 and is nestled off the west coast of Ireland on one of the three islands that make up the Aran Islands: Inishmore, Inishsheer and Inis Meáin. Being the least developed and with only a handful of tourists visiting each week, Inis Meáin has managed to hold on to more of its authentic character. With a population of just 150, the island is one of the few remaining close-knit Irish-speaking communities. The combination of the unspoilt natural beauty and the warm generosity of the locals is central to the appeal of the island. 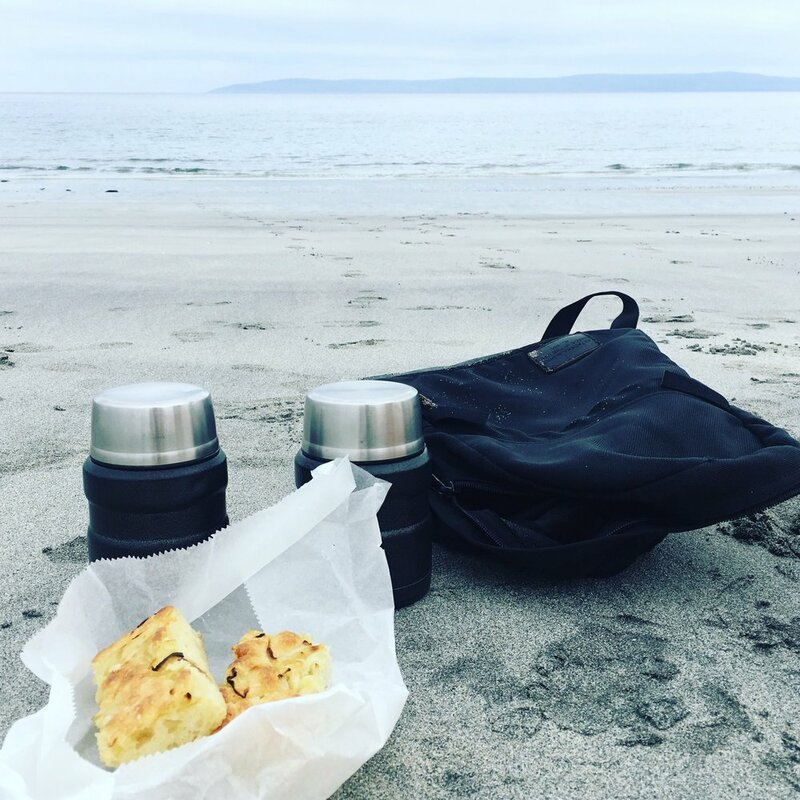 Having grown up on Inis Meáin, island life is in the owner - Ruairí’s - blood and has caused him to become self-sufficient in every conceivable way; growing vegetables, keeping livestock and constantly making things using whatever is to hand. This self-sufficient upbringing and appreciation for craft lead Ruairí to create Inis Meáin Restaurant & Suites, and together with Marie-Thérèse they have created a truly unique experience. Designed by Shane Blacam of de Blacam and Meagher Architects, the suites respond to the local vernacular and every detail is inspired by the island. The design blends into the landscape through the use of local stone and glass which reflects the colours of the sky and surroundings. The back of the suites face the baron landscape and the solid stone walls create a protective almost fortress-like structure, hunkering down to withstand the harsh weather conditions. There are five suites all together. Each suite has a private entrance courtyard, creating a sense of privacy and personal space before you step through the front door. The floor plan is simple. Long and open plan, the suite is split into three areas with the entrance porch at one end, living space in the middle and the bed at the far end. The bathroom is neatly tucked in behind the living space. The most distinctive feature of each room is the Le Corbusier-esque ribbon of glazing running the entire length of each suite. With pure uninterrupted views you could sit, lost in thought for hours. Deep window sills cleverly create a space for eating with the bench pulled up close, or a space to rest your elbows to do a bit of bird watching with the binoculars provided. Or, as we found more entertaining, watching the islanders go about their day; hopping around on a clattered-out Honda moped; collecting sheep or going back and forth from the shop or pub. The pace of life on the island instantly makes you feel relaxed. The suites were created with two goals in mind: to equip guests with the tools to best discover the natural beauty of the island, and to offer optimum privacy, personal space and comfort. Each morning a breakfast box is delivered to your suite, discreetly left in the porch to be enjoyed whenever you please. The boxes were inspired by a photographer's lens box, with Kilner jars full of tasty treats taking the place of the lenses. The furniture is simple, practical and beautifully handcrafted, with a kitchen-style unit running the entire length of the living space housing all essentials, a king size bed designed at the perfect height to see out of the windows and a small bench which can be moved around as you please. The external windows and doors are timber, completely raw with no stains, just left to weather naturally. The lime plaster inside, also natural, reminiscent of the soft sand colour of the beaches surrounding the island. After breakfast, a beautiful Scandi-chic rucksack (i have since bought myself a similar one!) is delivered to the porch, filled with a thermos of soup and homemade bread wrapped in paper. 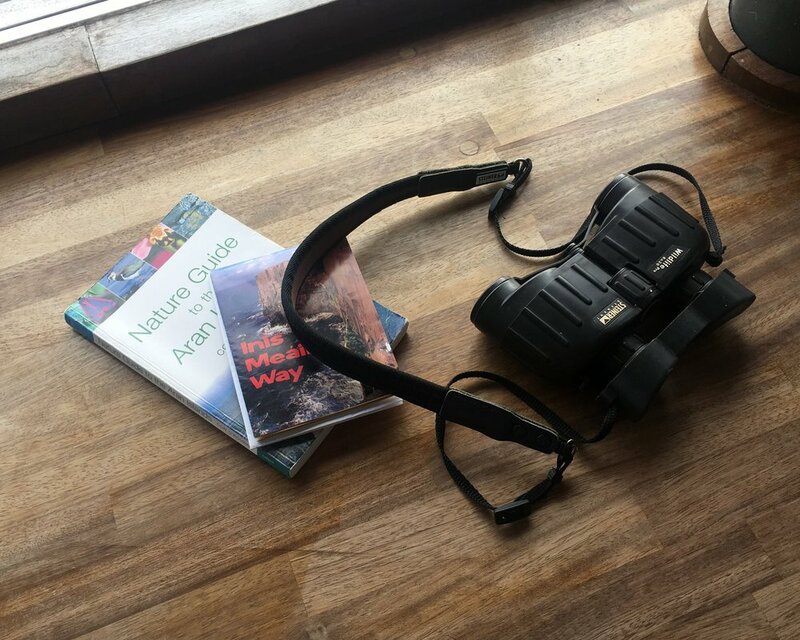 With enough space in the bag to throw in nature books, binoculars and towels you have everything you need to explore the island. 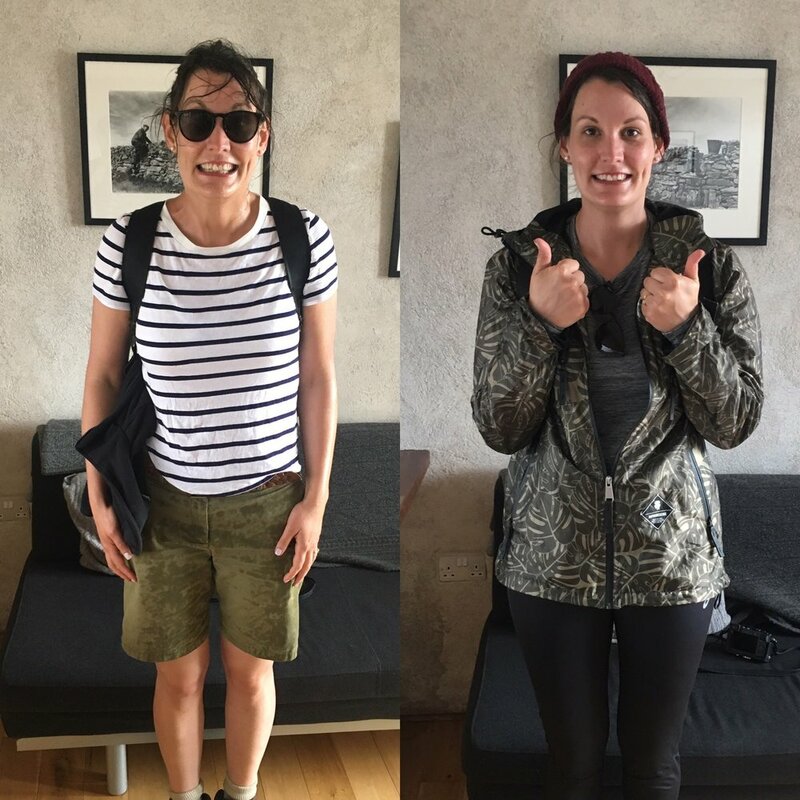 Armed with our rucksack and a decent rain jacket, each day we set out to discover a different quarter of the island. In terms of our desire for remoteness – boy did we get it! We walked for hours each day, passing maybe one or two people - the perfect counterpoint to the wonderful energy of our wedding. It was our idea of heaven. Who needs the Maldives?